Modern-Tec Manufacturing, Inc. located in Lockport, NY has begun an overhaul of our existing workstations in support of new advances in CAD/CAM software. Beginning in December of 2012 and continuing in 2013, we will replace our existing Legacy workstations (Windows XP 32-Bit), and upgrade to new Windows 7 64-Bit machines. Productivity increases are expected due to updated software such as Siemens NX 8.5 and the actual workstations themselves, which we have been custom building in house. 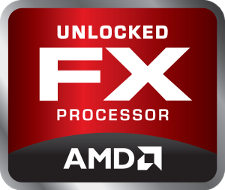 As an example, our newest workstation is powered by an AMD FX-8350 8-Core processor and AMD FirePro W5000 Graphics card. Both components are built on the newest architectures from AMD (Piledriver, GCN). Copyright © 2013-2016 Modern-Tec Manufacturing, Inc.